FIS Group was formed to act as a catalyst for positive change. We seek to make a difference every day not only by connecting investors with innovative investment strategies and research but also by giving back. We organize and support impactful initiatives designed to foster financial literacy, democratize access to capital, and invest in the communities we serve. A partnership with Broad Street Ministries to sponsor meals for the homeless. 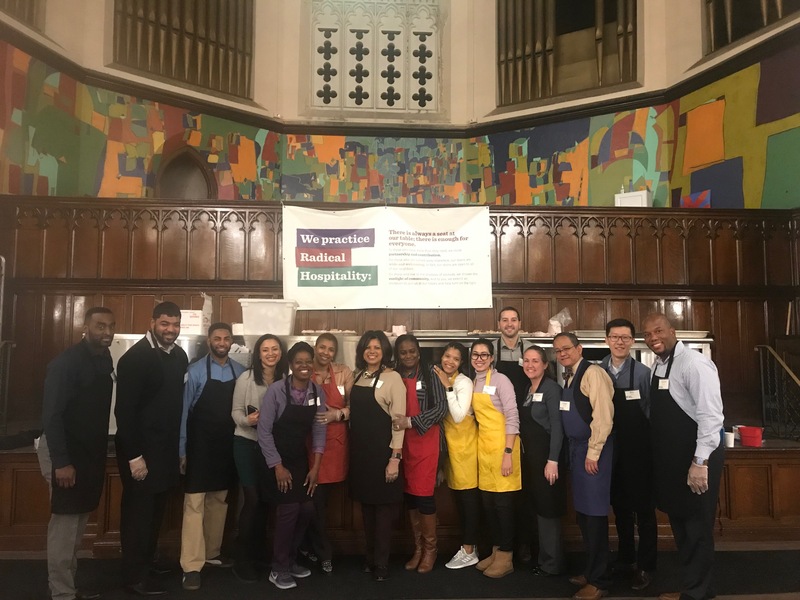 In 2018, FIS Group sponsored meals for the homeless for a full week. FIS’ers also had the opportunity to serve the homeless lunch during one of those meals, feeding over 300 people in that sitting alone. To participate effectively in our global economy, young people must learn to think critically and choose responsibly in their decisions as savers, investors, consumers, and members of the workforce. In 2006, we launched the FIS Group Financial Literacy Program, an initiative designed to provide engaging and effective pathways to financial literacy and the development of skills essential to personal economic success. The program currently supports the Harambee Institute of Science & Technology Charter School in Philadelphia and seeks to improve financial literacy among students. The program incorporates rewards and incentives designed to reinforce the value of diligence, budgeting, saving, and investing. Over the course of the year, classroom lessons increase in complexity and are reinforced through active learning experiences, transaction simulations, and role-playing. FIS Group also hosts students’ onsite at their headquarters in Philadelphia for real world exposure and experience in the investment industry. 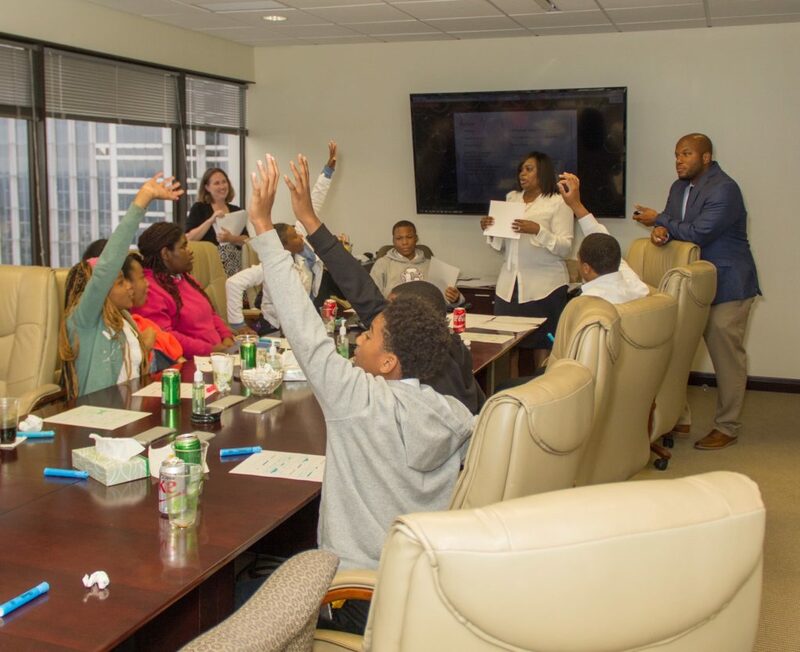 For the 2016 through 2017 grade 7 class, FIS Group hosted the students at our offices in Philadelphia to gain real world exposure and foster mentorship with FIS’ investment professionals. FIS also sponsored and accompanied the students on a trip to New York City where they participated in a Wall Street scavenger hunt. During this scavenger hunt, FIS’ers taught students the origins of Wall Street, the importance of the Federal Reserve and New York Stock Exchange, and the significance of the 2011 Occupy Wall Street camp out in Zucotti Park. Funding for the program is provided by FIS Group’s 501(c)(3) affiliate, A Good Measure Foundation.